Microdermabrasion is a popular dermatology skin care treatment that is often overlooked since many people do not really know what it is. Microdermabrasion is a non-chemical and non-invasive exfoliating procedure, which uses a handheld device to gently remove the top layer of skin. The treatment does not require recovery or downtime on the part of the patient. The device is made up of superfine crystals, which scratch the surface of the skin. A suction process is then used to immediately remove the dead skin cells and crystals. The process minimizes facial blemishes and fine lines while causing the body to produce new cells. The end result is healthy and more youthful looking skin. It can also minimize acne scars and improve oily or dull skin through the process of gentle exfoliation. Since the skin is not wounded or abraded below the epidermis, the treatment is painless and no anesthesia is needed. Although microdermabrasion does not abrade the lower levels of skin, it can help promote healthier internal skin by enhancing the circulation. According to the American Society of Plastic Surgeons, patients will only feel a scratching or mild stinging during microdermabrasion. There is no need to take time off work since recovery time is not necessary. Since microdermabrasion can be completed in as little as 30 minutes, it is often called a “lunchtime facial”. However, patients may need several sessions to gain the desired outcome. The skin may appear pink and slightly swollen but these side effects generally subside in one day. Nevertheless, a dermatologist will apply a moisturizer after the treatment and recommend a sun protection plan since the new layer of skin will be subject to burns. Patients that dislike the sensation of the microdermabrasion device, or those who want to gain results at home, may benefit from a manual microdermabrasion product. Pumice Peel can be used at home or in a spa setting to buff away fine lines and dullness and to improve the condition of the pores with ultra-fine pumice crystals. Pumice crystals are known to naturally exfoliate and smooth the skin. Pumice peel contains hydrogenated polydecene, vitamin E and vitamin C for hydrating and brightening the skin. While performing the treatment at home is convenient, patients may not get sufficient results with home kits. To get optimal results, and to avoid potential complications, it is best to seek the services of a qualified medical professional for microdermabrasion. The reality of acne scars is that many individuals are affected by them not only through puberty, but well into our adult lives. Whether it is on our face, or other areas of our body. 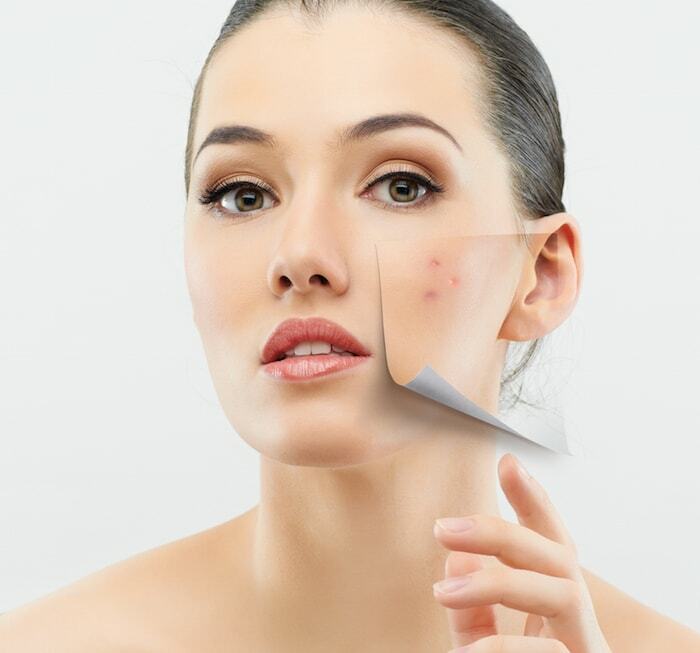 Some people may recover from having acne without any permanent scars, while others may be prone to and left with scars, especially when acne is disrupted unnaturally. Mild acne scars can be treated with over the counter and prescription medications or topical skin products. However, if your case is more severe and these products/medications are not working for you, skin resurfacing is the next available option. 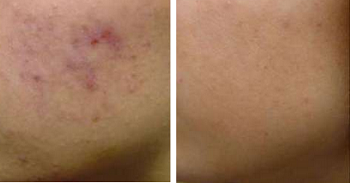 Microdermabrasion is a popular procedure being done to help reduce the appearance of acne scars. This procedure also leaves ones skin looking brighter and softer. It can be performed with all skin types and tones. During the process of microdermabrasion, tiny crystals will be sprayed onto your skin which will remove the outer layer very gently. The procedure is done without the use of any numbing medication. After the procedure, your skin will feel dry and have a tightness. Usually the skin will turn pink for about a day and will resume back to normal by the second day, but sun exposure should still be avoided. In order to hydrate your skin, the doctor will most likely tell you to use a moisturizer and drink plenty of water until the dryness of your skin goes away. It is important to visit your dermatologist routinely to keep your skin youthful, glowing, and radiant.